The Election Commission of Pakistan (ECP) has announced the preliminary report on the delimitation of national and provincial assembly constituencies. According to ECP delimitation preliminary report, Faisalabad district has lost one national assembly seat. Faisalabad had 11 national assembly seats in the last delimitation in 2002 but after the last population census in 2017, it last one seat to come down to 10 seats. Faisalabad now has NA-101 to NA -110 constituencies. But Faisalabad district retained the 21 provincial assembly seats. Faisalabad had the 21 seats in the last delimitation in 2002. Faisalabad now has provincial assembly constituencies from PP-97 to PP-117. Delimitation is the constitutional responsibility of the federal government after every population census. General election cannot take place without the process of delimitation. It is the responsibility of the federal government to organise the population census on national level. The present government of PML-N organised the census in 2017 on the directions of the Supreme Court. The census was due in 2008 but law and order situation in the country did not allow it to happen. So finally census took place in 2017 after the gap of 19 years. The last delimitation was done in 2002 on the basis of 1998 census. The parliamentary leaders of the different political parties unanimously agreed to keep the present strength of the national assembly and four provincial assemblies. They agreed to reduce 7 national assembly seats from Punjab and to increase 4 seats in KPK, 2 seats in Baluchistan and one seat in federal capital Islamabad on the basis of provisional census results. So Faisalabad lost one national assembly seat in that process. 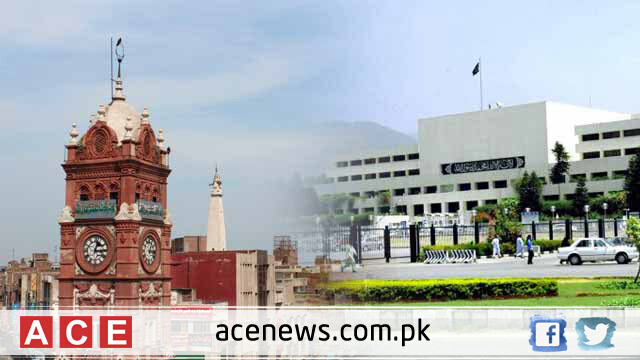 National assembly and Senate passed the constitutional amendment to start the process of delimitation on basis of provisional results. It was necessary to organised the general elections on time. PML-N won all the 11 national assembly seats from Faisalabad district in the last general election held in 2013. It won 18 provincial assembly seats out of 21. So PML-N is the largest and most dominating political force in this district. Most of the PML-N national assembly candidates got more than one hundred thousand votes. The average victory margin was around 70,000 votes. Both PTI and PPP failed to impress the voters in this important district which was once stronghold of PPP. PPP won most of the seats from this district in 1988. But gradually PML-N started to challenge the PPP dominance. PPP even won some national assembly seats in 2008. But in 2013 general elections, PPP lost badly. PTI still has to climb a high mountain to defeat PML-N in its strong hold. PTI failed to put up a good show in the last elections. PTI needs to improve enormously in most constituencies to have a chance to win. The new situation has developed after the new delimitation. Some major changes have been made in some constituencies. Major changes have been made in the old N.A -75, 76, 77, 78, 79, 80 and 81 which are now NA 101,102, 103 104, 105and 106. NA 80 has been bifurcated into three constituencies. Major changes in the rural constituencies can change the result of the constituency in a close fight. It might not make a big difference in the urban constituencies. Any voter of a certain constituency can challenge the delimitation before the Election commission till April 03. The appeals can be made in the higher judiciary against the ECP decisions. Many potential candidates expected to challenge the new delimitation as it can affect their candidature. Political parties might also engage in intense legal battle regarding the new delimitations. Who Will be the New Chairman Senate?